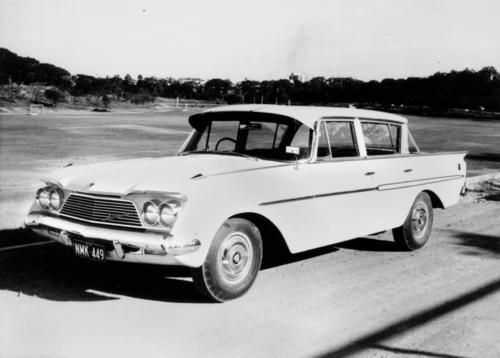 Lets start with a factory photo of a 1961 Rambler Ambassador Sedan. 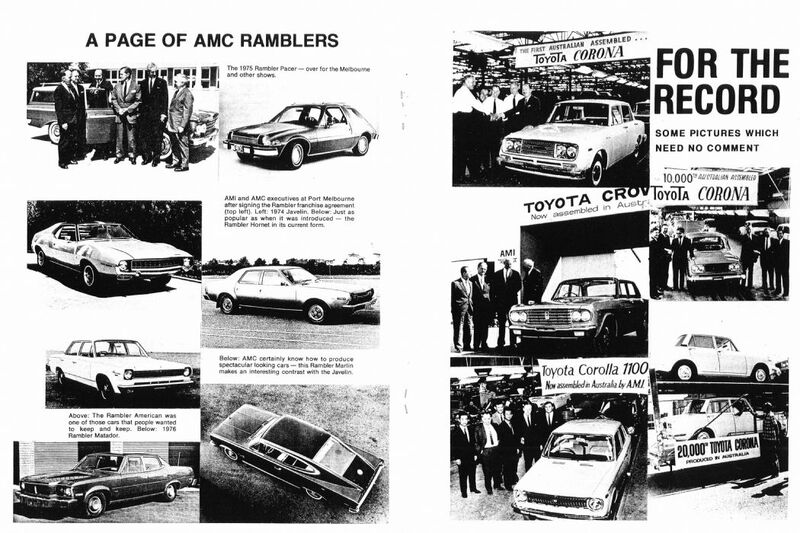 The first year of many more of AMC being produced in Australia. I wonder how many of these were built and if any have survived. Hey Huddy. I have an original AMI booklet and wallet that came with my Matador. I don't know how to put it on the forum. All the user books came with my car. I'd like to put the AMI on your thread. It shows workshop photos etc and photos of most of the breeds they assembled. Cheers. Great idea Huddy, we should get it made sticky so it stays at the top. 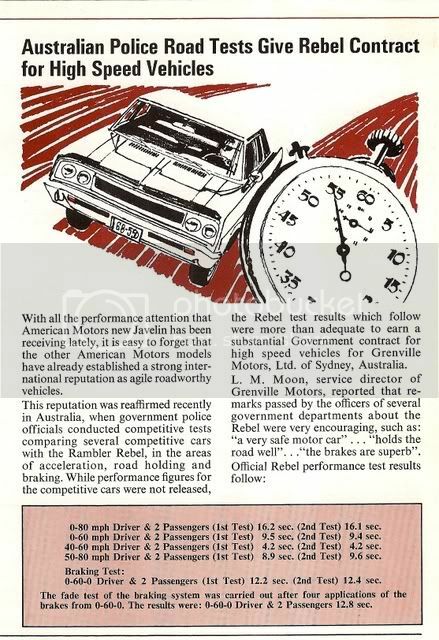 The media section contains a lot of scans of old advertising material, brochures and magagazine road tests from back in the day. 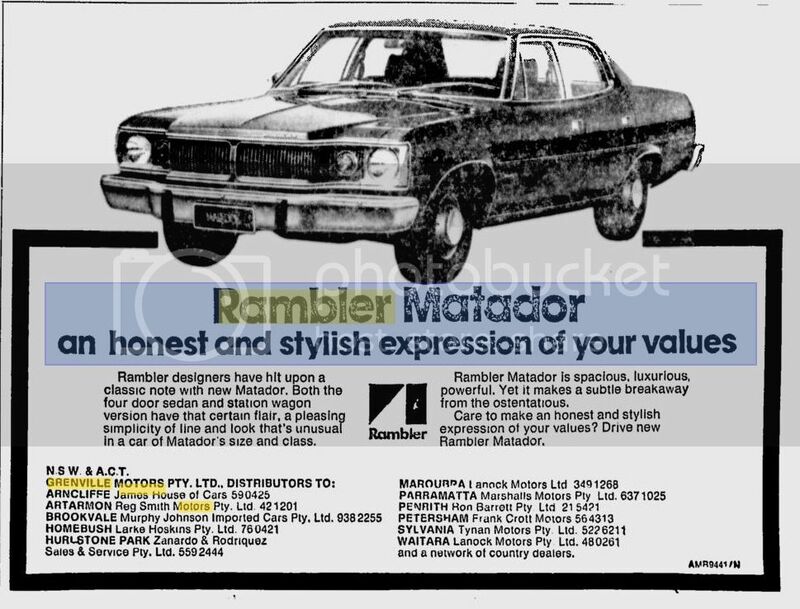 I have tried to maintain the focus on stuff specifically related to the aussie cars. 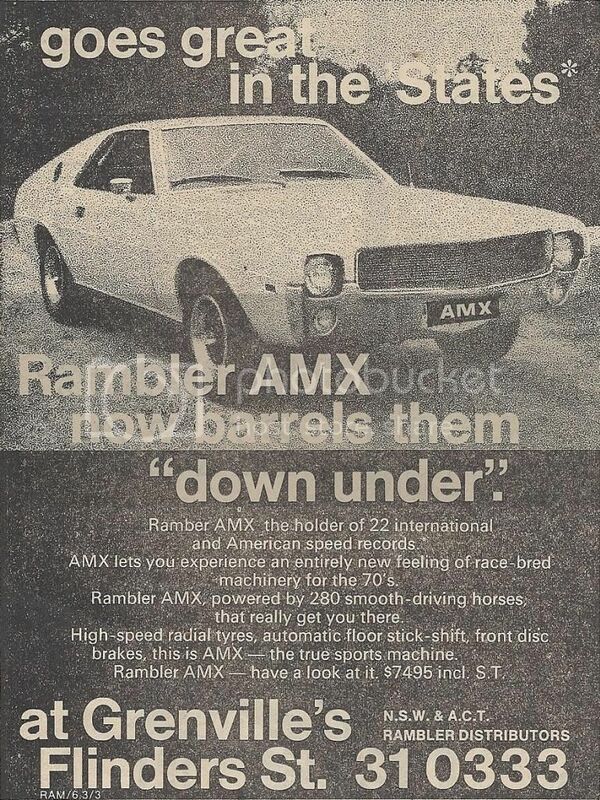 I do have a little bit of stuff for other aussie AMC vehicles so will have a look and see what I can post up here. good stuff... to admin... can we make this thread a sticky thread... 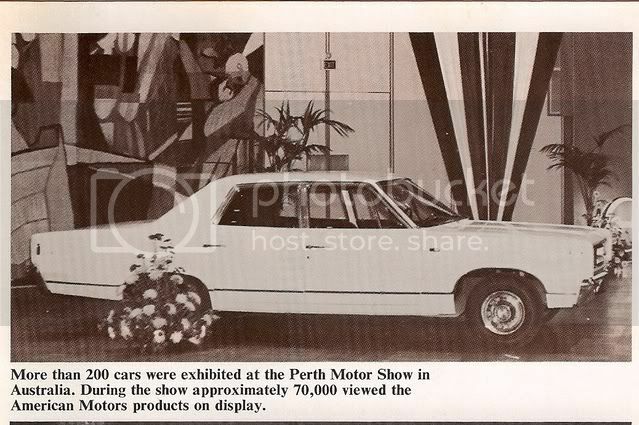 If I'm not asking too much can we have sub forums aswell... eg, Production figures, Specifications of AMI built cars, dealerships, factory photos, History, former workers etc etc. 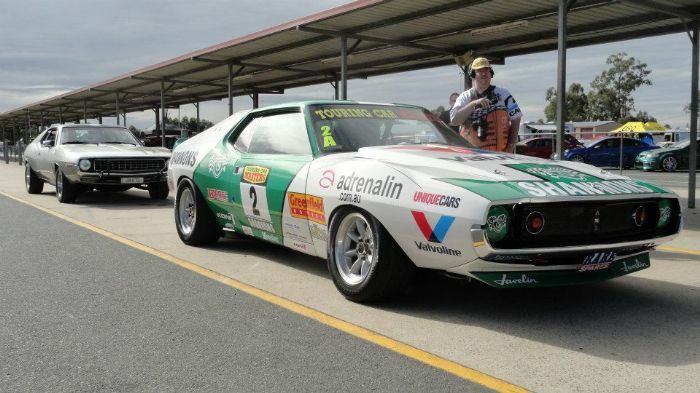 This will help us all understand the history of our Aussie AMC's and educate others. Many of us have lots of info to be shared and that stuff needs to be kept and not lost in time. I believe this forum is the place for this information to be recorded. Hey Steve, I was going to suggest maybe you put some key details in the first post, things like production numbers and a dealership list, you can always go back and edit it to add any more information as it comes to light. 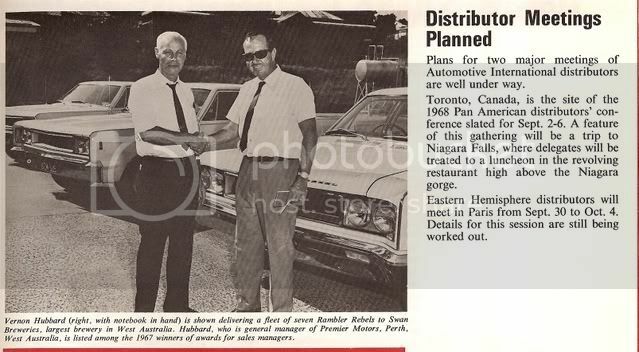 I've got a some paper work from Grenville Motors that need to be scanned. 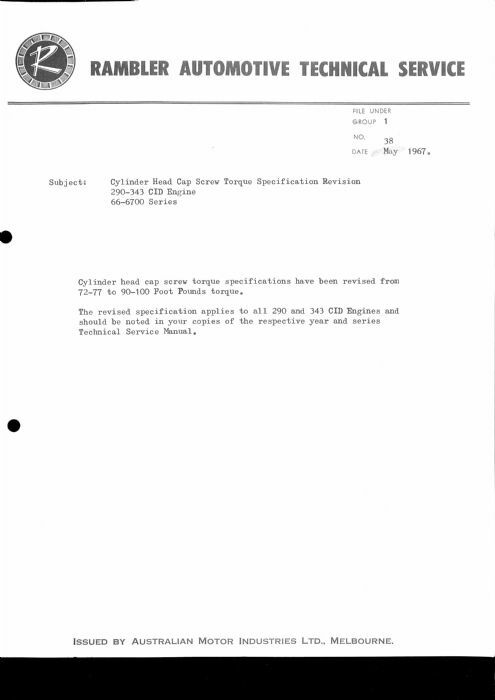 Some of it came straight from AMI to Grenville Motors, eg typed letters regarding suggested retail prices on certain AMC models, options etc. I also have with me a couple of yearly diaries that once belonged to one of their sales reps. These diaries gives your all the information about his sales inquiries, trades, customer names, phone numbers, type of vehicle that they were inquiring about and also tells you if the deals were done. 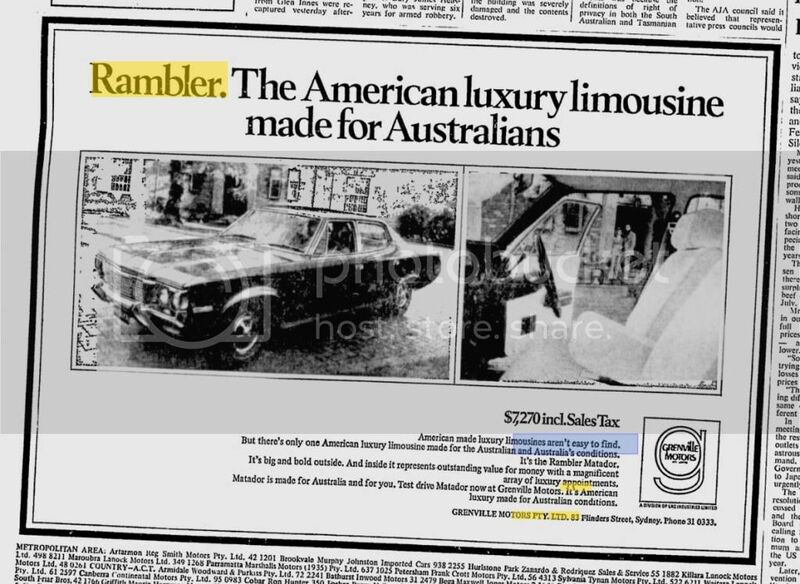 This info is very interesting, eg... Cadbury Chocolates inquired about purchasing a new Rambler at one stage, so did a Mr Palumbo. 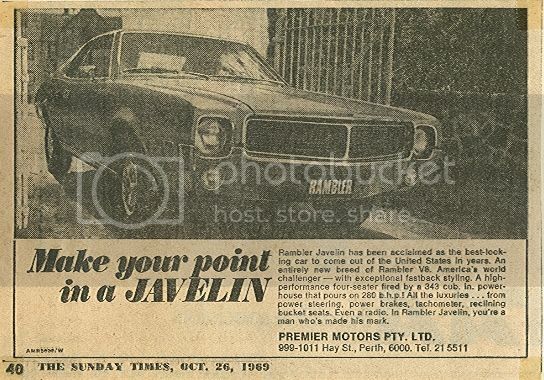 With Mr Palumbo, his nephew today owns a Rambler and is a member of the NSW Hudson AMC club. 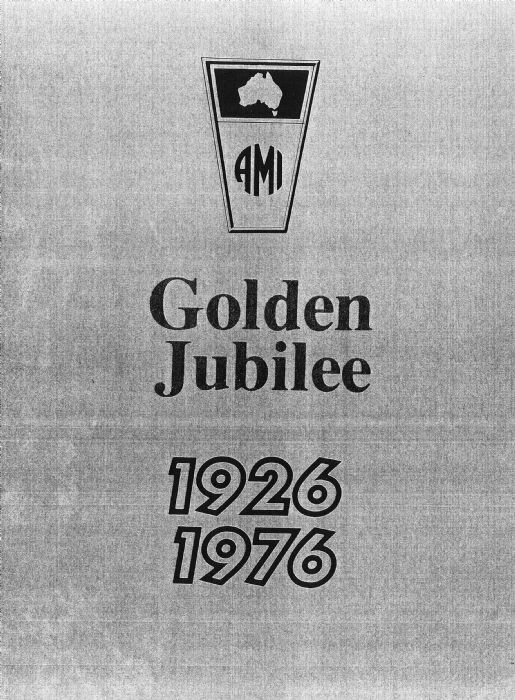 AMI put a booklet out commemorating their Golden Jubilee (1926 to 1976) Here's the cover and a couple of inside pages. 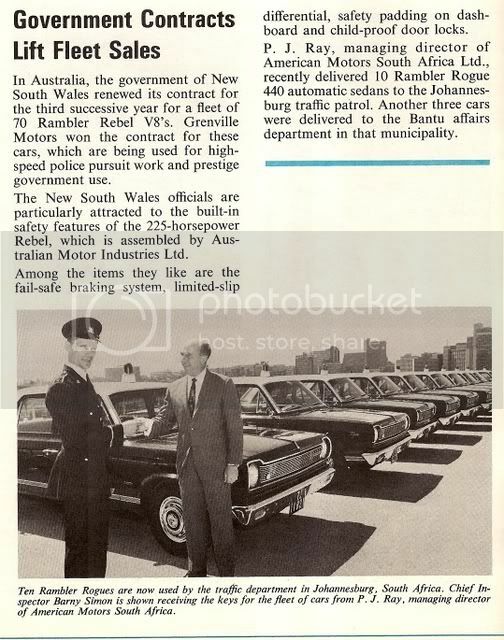 I believe a guy in Adelaide is writing a book, putting the AMI history together. I'll email him this thread as it may help him.